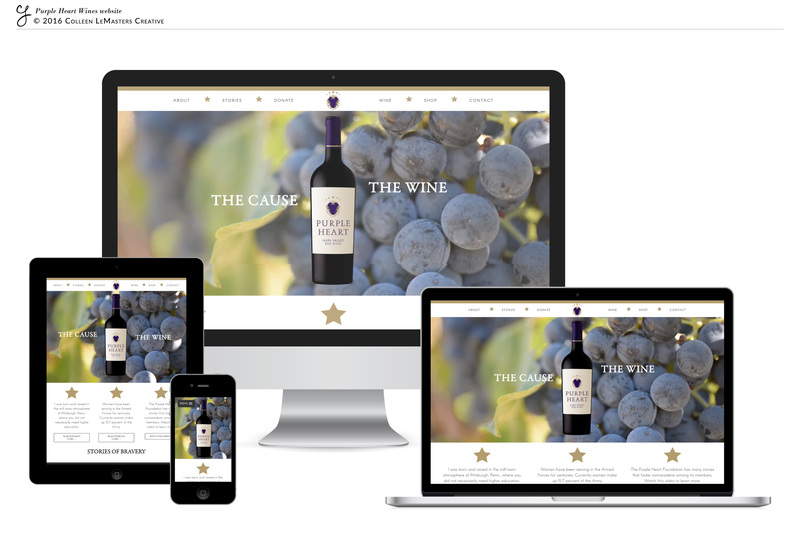 I have been meaning to post this for a while, as the Purple Heart Wines website launched a few months ago, but then there was that whole, “we’re having a baby” thing, which led me to want to take on more projects now (while I’m feeling good) and, long story short, here we are. This was also my first website designed in a content management system other than WordPress, which presented another unique set of challenges, but again, that challenge motivated me even more, making me just plain excited to solve the puzzle and work on the site. The wine itself honors those who serve and protect our country every day, so I was incredibly excited to be a part of something like this.